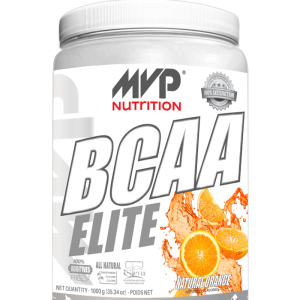 Vanilla – INGREDIENTS: New Zealand whey protein concentrate, New Zealand whey protein isolate, natural flavors, high oleic sunflower oil, stevia leaf extract (as natural sweetener). 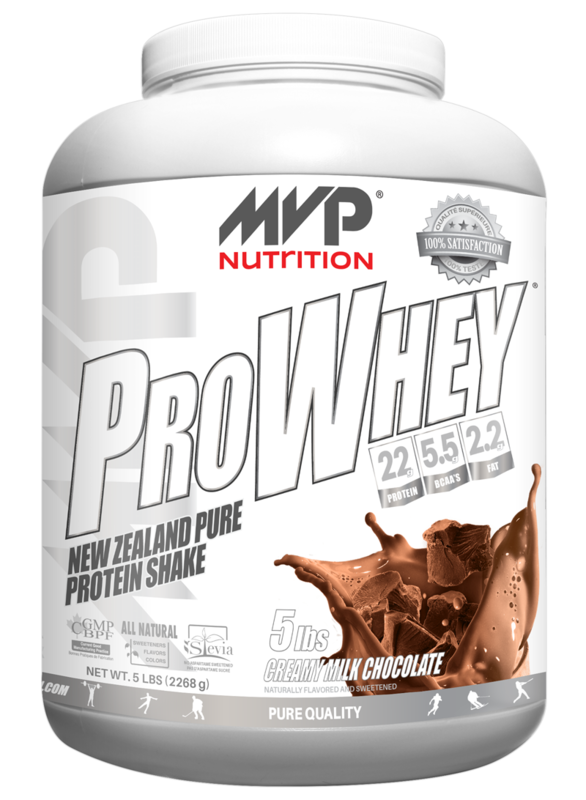 Chocolate – INGREDIENTS: New Zealand whey protein concentrate, New Zealand whey protein isolate, dark cocoa powder (processed with alkali), natural flavors, high oleic sunflower oil, stevia leaf extract (as natural sweetener). 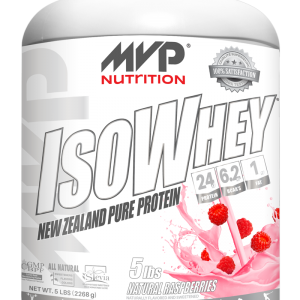 Raspberry – INGREDIENTS: New Zealand whey protein concentrate, New Zealand whey protein isolate, natural flavors, high oleic sunflower oil, stevia leaf extract (as natural sweetener), red beet powder (natural color). 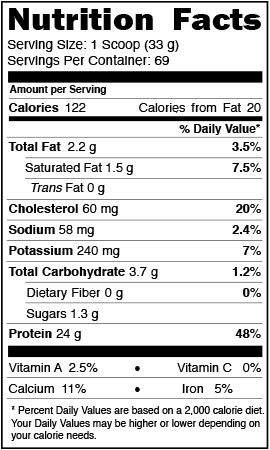 SUGGESTED USE: As a dietary supplement, take 1 scoop with 6-10 oz / 177-296 ml of water or your favorite beverage. CAUTIONS: Consult a healthcare practitioner prior to use if you are pregnant or breastfeeding. Consult a healthcare practitioner prior to use if you have liver or kidney disease. Do not use if security seal is broken. Keep in a cool and dry place away from children. 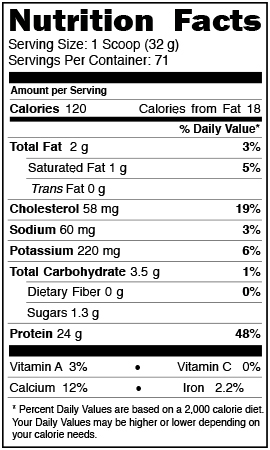 ALLERGEN INFORMATION: Contains milk. This product is manufactured in a facility that processes milk and egg.